Browse: Home » 2013 » June » 24 » INTERIM PAYMENTS AND THE SERIOUSLY INJURED CLAIMANT: SOMEWHERE TO LIVE OR DOWN AT EELES? INTERIM PAYMENTS AND THE SERIOUSLY INJURED CLAIMANT: SOMEWHERE TO LIVE OR DOWN AT EELES? Cases and principles relating to interim payments and accommodation in catastrophic injury cases are considered. Prior to the decision in Cobham Hire Services –v- Eeles  EWCA Civ 204 it was a relatively simple matter to obtain a substantial interim payment in a catastrophic injury case. All that had to be show was that the payment sought was a reasonable proportion of the damages likely to be awarded. The court was not concerned with how that money was to be spent. The decision in Eeles has made the situation more complex, particularly in relation to funding housing needs. Suitable accommodation is one of the most fundamental problems for the seriously injured claimant. Obtaining an interim payment to pay for housing is never a straightforward task. Firstly the damages award will never pay the capital costs of accommodation; secondly, the courts are much more conservative in their approach to the award of interim payments. It helps to take a close look at the cases that have followed Eeeles, whether any coherent principles can be identified and the steps the claimant and defendant need to take. Eeeles dealt with the difficult issue of how the courts were to deal with the interplay between the power to order periodical payments and the discretion to award an interim payment. This was a case involving a seriously injured child where the family wished to purchase a home. There had already been an interim payment of £450,000. At first instance the judge awarded an additional £1.2 million making the overall interim payments £1.65 million. He held that the overall value of the case was in excess of £3.25 million and that it was unlikely that the trial judge would make a periodical payments award of around half of the claim. The Court of Appeal firmly rejected that approach. The Defendant’s appeal was allowed. The Court finding that the interim payments already made meant that there was little room for further interim payments. The judge failed to consider the importance of not hampering the trial judge’s ability to make a periodical payment order. · Assess the likely amount of the final judgment, leaving out of account the heads of future loss which the trial judge might wish to deal with by a periodical payments order. · Assessment should comprise only special damages to date and damages for pain, suffering and loss of amenity, with interest on both. · As the practice of awarding accommodation costs (including future running costs) as a lump sum was sufficiently well established, it would usually be appropriate to include accommodation costs in the expected capital award. · The assessment should be carried out on a conservative basis. · Except in certain circumstances, the interim payment would be a reasonable proportion of that assessment. A reasonable proportion may well be a high proportion, provided that the assessment had been conservative. The objective was not to keep the claimant out of his money but to avoid any risk of over-payment. · Before taking such a course, the judge had to be satisfied by evidence that there was a real need for the interim payment requested and if the judge was satisfied of that, to a high degree of confidence, then he would be justified in predicting that the trial judge would take the course indicated and he would be justified in assessing the likely amount of the final award at such a level as would permit the making of the necessary interim award. This represented a change from the previous case law where it was held that the court should have no real regard to the purpose of an interim payment. Does it mean that it is not now possible to obtain an interim payment to fund accommodation? In Kirby –v- Ashford & St Peter’s Hospital  EWHC 1320 QB the claimant was a child who had spastic quadriplegia as a result of the admitted negligence of the defendant. £850,000 had been paid by way of voluntary interim payment. An application was made for a further £350,000 to purchase a specific property. The judge awarded £150,000 on the basis that the property in question exceeded the cost ascribed by the claimant’s expert. It was not the only property available and the overall interim payment of £1 million kept the case within the guidance in Eeeles. The judge carried out a very careful and detailed examination of the likely award. Following Eeles and Kirby it appears that Claimant lawyers appreciated the criteria that would have to be met and started to tailor the evidence and applications to meet the criteria. However there were hiccups, sometimes caused by earlier awards being made prior to Eeles. In Molly Johnson –v- Derbyshire Royal Hospitals NHS Trust (2009) [reported on Lawtel] Judge Bullimore made an award of a further £200,000 interim payment taking the total to £700,000. A property had been purchased with an initial interim award. However it required adaptation and this could not be carried out unless a further interim payment of £200,000 was made. this is not a criticism; it is merely my perception of what has happened here) is because, prior to Cobham, there was not that careful analysis of what the final judgment sum would be and what that meant that we now have from the Cobham decision. There was a general perception that, if the pot could be measured in millions, quite frankly a claimant could have out of it almost anything. Because the interim payment was made pre- Eeles the claimant was in a difficult position. The house had been purchased but she could not move in. This was a major factor in his decision. The judge could not seriously countenance the idea of the property sitting there not being used. The Court of Appeal recognised that there were these exceptional cases and I suspect there will be fewer exceptional cases as people begin to understand more fully what the Cobham judgment really spells out, but I think it just falls into that narrow category and, on that basis, I am minded to grant the application. The crucial point here was that the original interim payment had been made at a time when the criteria were different. As the judge observed a court would be less sympathetic if the decisions that the claimant had made were made after the Eeles decision. It is true that such a payment is a high proportion of the likely amount of the final judgment. However Eeles makes it clear at  that a reasonable proportion may well be a high proportion, provided that the assessment has been conservative. The making of an interim payment of this size also accords with the approach taken by Stanley Burnton J in Braithwaite v Homerton University Hospital NHS Foundation Trust  EWHC 353 (QB) (which was approved by the Court of Appeal in Eeles at  – ). In that case also, the approach of the court responded to claimant’s urgent need on the facts to accommodation, a need which on the evidence I have been shown I am satisfied exists in this case also. In summary, she will hold the money in her firm’s client account, and take reasonable steps before making a payment out to ensure that it is made only in respect of loss identified in the schedule of loss (by requiring sight of receipts or invoices etc). There are various further provisions intended to protect her firm, and both of the parties. I believe that a similar arrangement is presently operated on an informal basis, and an undertaking would provide some additional formality, and on the facts of this case would in my view be of value. In Russell –v- Partington (Lawtel 23/10/2009) Irwin J considered the impact of contributory negligence on an application for an interim payment. It was assumed (for the purpose of the interim payment application) that there would be a finding of 50% contributory negligence. This meant, the judge, found that it was far more likely that a judge would “capitalise” the claim for loss of earnings rather than make this aspect of the claim subject to a periodical payments order. If only half the claim for care was being awarded it was important that the claimant would have more capital to “juggle” his future care needs. 22. I have also considered the submission on behalf of the claimant, in the light of the Eeles limb 2 approach set out in paragraph 38 of the judgment, that I should assume that a trial judge will “capitalise” at least “future loss of earnings”. It is necessary to pause a moment to consider the way this argument is formulated by Mr Melton. In essence it has two approaches: if, of course, the claimant succeedsto an extent greater than fifty per cent then the heads of claim, with which I havedealt already, will be available to a greater extent for the award of a lump sum; but if they are not and fifty per cent is the limit of the claimant’s success following trial on liability, “Then”, Mr Melton says that, “a judge would be much more likely to award a higher proportion of the fifty per cent of the full award which the claimant achieves by way of lump sum”. And thus I can be confident, on either basis, that I am not fettering the judge’s discretion by capitalising the future loss of earnings claim. 23. The reason for making that point in the context of fifty per cent recovery only is that in that circumstance the claimant would not be able to cover all of his needs established in a quantum trial. By definition he would only have half the money that he needed. And from that point, in the context of such cases, it is a common place that claimants request a much higher proportion of the damages to be awarded in a lump sum than by way of periodical payments, because of the need to meet capital needs, because of the flexibility which can flow from the capacity of the claimant to invest and to deal with what must necessarily be an imperfect position, by economising, by specifically designed capital investment andgenerally by what must be in many cases a difficult and taxing juggle. 24. I follow that line of argument. It is attractive because it is my own experience, both on the Bench and at the Bar, that the submissions of Mr Melton are correct on that point, and that faced with a need crucially for accommodation, somethingwhich the Court of Appeal have often recognised, and recognise in Eeles to be relevant to the exercise of the second limb approach in Eeles, it seems to me to recommend itself. 25. For those reasons, it being already clear that one cannot satisfy anything like the application of the claimant from the general damages, past losses and immediately capitalised care, I am prepared, in this case, to, in reliance on the approach set out in paragraph 38 of Eeles, to proceed a little further and to say that, assuming the fifty per cent threshold only, a judge would be likely to capitalise loss of earnings at least, in addition to the other heads I have mentioned. CHALLENGING THE ISSUE OF WHETHER A COURT MAKE A PERIODICAL PAYMENTS ORDER AT TRIAL? In Preston –v- City Electrical Factors  EWHC 2907 Walker J found that it was unlikely that a court would, at trial, make a periodical payments order. There were manifold uncertainties in the case and it would be in the claimant’s interests to have maximum flexibility in his damages. An irony here is that the defendant was contending that the annual periodical payments would be low (around £6,000 a year). Thus on the figures advanced by the defendant I would conclude for these reasons alone that this is not a case in which the trial judge may wish to make a PPO. I add that to my mind it is important to have regard to what the position would be if the court were to conclude that the defendants’ contentions were not wholly successful. Might the court in those circumstances wish to make a PPO? In many cases it might be impossible to rule this out. In the unusual circumstances of Mr Preston, however, I see no room for a PPO. The major uncertainty is how great Mr Preston’s care needs may be in future years, in particular depending upon the extent to which he will be able to continue to abstain from alcohol. There might be one or more relapses in the future. When these might occur, and what care needs would be associated with them, are difficult to predict. This gives rise to major question marks not only about life expectancy but also, and more fundamentally for present purposes, about the extent of his need for care. If the court were to conclude that all Mr Preston’s care needs were attributable to the accident, then a PPO would be too rigid to provide compensation given the way in which those care needs could vary. The court might however conclude that the degree of injury and personality disorder brought about by the accident did not include care needs arising from alcohol dependency syndrome. In that event too a PPO would be too rigid. This is a case where the future involves contingencies which could give rise to very substantial needs, and the claimant says on advice that a lump sum rather than a PPO is needed so as to have funds which can be deployed either to guard against those contingencies or to be able to meet needs arising from them. The court must have regard to all the circumstances. In the circumstances of the present case it appears, on the evidence before me, to be plainly in the best interests of Mr Preston to have the maximum flexibility to make use of his damages in countering the problems of alcohol dependency disorder, even if the defendants are not responsible for that particular disorder. Accordingly whether or not the defendants are responsible for Mr Preston’s alcohol related problems I am satisfied that this is not a case where a court may wish to make a PPO. In Harris –v- Roy (2010) QBD (Lawtel) the Admiralty Registrar rejected an argument that an interim payment had to be confined only to past losses. In Ali –v- Frimley Park Hospital NHS Foundation Trust (2010) QBD Master Roberts considered an application for an interim payment of £916,000 for the claimant who was aged 7 years and had a life expectancy of 22. An interim payment of £650,000 was made. The Master was not able to find, to a reasonable degree of confidence, that the judge would award a larger capital sum. However, an application for an interim payment is not dependent upon a particular need being established for the payment. It is only necessary to establish a need when an applicant invites the court to take into account in its assessment of the likely capital sum to be awarded additional factors to those of general damages, past losses and accommodation in the circumstances described by Smith LJ at paragraph 45 of her judgment in Cobham Hire Services Limited v Eeles  EWCA Civ 204. The Defendant argued that the court should not take into account the cost of accommodation since there could be public (and thus free to the Defendant) accommodation which could be suitable. Making an interim award which covered the costs of accommodation would mean that there would not a “level playing field” and prevent the Defendant arguing that public accommodation was most suitable. (Although the Defendant could not identify any single institution which could care for the claimant). 18. I was troubled that counsel for the Defendant was not able to identify any publicly funded accommodation in which Jessica might reside after completion of rehabilitation if she did not reside at home. If there were no such accommodation then the Defendant’s argument would be plainly wrong because there would be no alternative to her being cared for at home. However, it seems to me likely that there must be such accommodation within the NHS since persons with disabilities similar to those of Jessica but without the benefit of a claim against an insured defendant must be cared for within the NHS. The trial judge will have details of such alternative accommodation (its location, facilities, staff, standard of care, funding and reputation) and will be able to form a view of what Jessica’s best interests reasonably require. 19. For these reasons the “unlevel playing field” is a factor to be weighed in the balance. It is a factor against taking accommodation costs into account at this stage. The Court also considered the question of whether the claim for loss of earnings was likely to be capitalised. DOES THE DEFENDANT NEED TO ADDUCE EVIDENCE? Some criticism of the Defendant was raised by Tugendhat J in Best –v- Smyth  EWHC 1541 (QB). The Defendant had raised a detailed counter-schedule but adduced no evidence. 21. A difficulty that I face is that the Defendant has chosen not to adduce evidence to support its figures, other than in the form of the Counterschedule, and Mr Lord’s 2009 report. Mr Norris submits that a defendant is not required by the Practice Direction to submit evidence with his defence, and it is premature to do so in response to thisapplication. 26. I do not regard the position adopted by the Defendant as satisfactory. I have some sympathy with the point made by Mr Norris that the Claimant could have commenced the proceedings sooner than he did, and that by not doing so until he was half way through his lease he is attempting to present the Defendant with an established fact. The urgency, such as it is, of this application is of the Claimant’s own making. On the other hand, it seems to me that the Defendant is itself adopting a tactical position. It could have included in the witness statement in opposition to the application a statement of what evidence it has, and what evidence it would wish to adduce in order to oppose the application on its merits. If evidence of that kind had been adduced in support of an application for an adjournment, then an adjournment might or might nothave been granted. But no adjournment was sought, and it would have been difficultto support an application for an adjournment without a statement as what the Defendant wished to procure, and within what timescale, by way of evidence in opposition to the application. In Walton –v- Axa Belgium Hickinbottom J (17/02/11) the claimant was rendered an incomplete tetraplegic. The claimant put the value at £9 million. Interim payments of £580,000 had been made and some three months before trial, the claimant made a further application for an additional £70,000. The purpose of the interim payment was to purchase an adapted vehicle. The defendant objected to the application on the grounds that allowing the purchase of the vehicle would “create a new status quo”. 17. However, he submitted that the purpose to which it was intended to put the funds wouldcreate a new status quo, such that there would be a real risk that the trial judge’s judgment in relation to the vehicle claim could be affected adversely to the defendant. In other words,at trial such an order would leave the playing field uneven, with the defendant playinguphill. 18. For the following reasons, I do not agree. 19. The court is not the guardian of a person of full capacity. Although any award is built up of various components of loss, where a claimant is of full age and capacity, a court has no interest in enquiring how compensatory damages awarded to him are spent. As a general principle, that is true of both final and interim awards (Stringman v McArdle  1 WLR 1653; and Eeles at paragraphs 4 and 44). 20. Further, a claimant has a right to receive compensatory damages. The purpose of an interim payment is to put a claimant into possession of damages that are due to him. On anapplication for an interim payment, the court is not concerned to keep a claimant out of his damages but to avoid the risk of overpayment (Eeles at paragraph 43). 25. In my judgment, it is inconceivable that, in a case such as this, the fact that Mr Walton has purchased a Chrysler before trial could affect the judgment of any trial judge in assessing the claimant’s vehicle claim on the evidence before him. In my view, such a risk is no more than fanciful, particularly as the claimant fully understands that he would purchase the Chrysler now at the risk – his own risk – that the trial judge may find that such expenditure is unwarranted. The purchase of this vehicle is a modest step for the claimant. It will not affect his way of life, except to make his travelling more comfortable and appropriate, as the parties’ experts agree should be the case. To suggest that now having a Chrysler rather than a Kia vehicle would create a significantly different status quo in the claimant’s way of life, given his serious condition and his very substantial other needs which flowed from this accident, is, despite the sensitivity with which the submission was made by Mr Davies, inherently unattractive and, worse from a legal point of view, in my view of no merit. 26. The court is not concerned with how a claimant of full capacity spends his money. If the defendant’s contentions before me were correct, on any interim application the court would be required to investigate, with some depth and precision, upon what the money would be spent to avert the risk that the trial judge would be persuaded from his proper task by, for example, the circumstances of a holiday or the precise equipment that a claimant might wish to purchase. On such an application, that is not the court’s proper task. It is the court’s task to make a proper interim payment of a reasonable proportion of the likely final damages, except where there is a real risk of compromising the trial judge’s function. In this case, for the reasons I have given, there is no such risk. Nor was the fact that the application was made late (some six months prior to the hearing on damages). One of the factors considered by the judge was the fact that the Defendant in the case was a Belgian insurance company. The legal principles governing damages were the same as in England. It has to be remembered that some defendants cannot provide proper security and Eeles will not apply. In Kirby –v- Ashford & St Peters Hospital NHS Trust  EWHC 624 (QB) the claimant had received £1 million by way of interim payments. The case was six months away from trial. The claimant sought an additional £250,000 to cover fees owed for architectural and building work in respect of completed adaptations. The defendant argued that this would involve the capitalisation of future losses. The judge held that the trial judge would most probably find a way of ensuring the debts were paid. The judge made an order for £150,000 to cover the £113,500 in debts and the balance to bide the claimant over to trial. However, the crunch question in this most unsatisfactory case is this. Am I confident to a high degree that the trial judge will find a way to bail out the claimant (or rather those adults charged with looking after his interests) from the consequences of their financial irresponsibility? The answer, given with great reluctance, is an emphatic “yes”. Miss Gumbel is right. Judges dealing with this sort of work are nothing if not imaginative. If I refuse this application, the debt will remain and I am sure that the trial judge will want to do something to deal with the problem. I agree with Miss Gumbel that there is scope to deal with it without fettering the discretion of the trial judge to make the sort of PPOs likely in this type of case. It would, in my judgment, be wrong to leave this case without adding a health warning. This is the first time, so far as I am aware, that an application of this nature has been considered by the Courts. By “application of this nature” I mean a high value personal injuries case, where there is a clear need for accommodation before trial, and where the money required cannot be advanced by interim payment by reference to the first limb of Eeles. 61. In Eeles it was clearly envisaged that applications for interim payments under the second limb would be made in advance. What ought to have happened here is this. Before binding obligations to pay money were entered into, application should have been made to the court for an interim payment sufficient to cover the anticipated contractual costs. It is not clear why the claimant’s team has got itself into this position of financial embarrassment. On the face of it, the claimant is cash flow insolvent to the tune of £113,500. No explanation for this has been given. There does not appear to have been any unexpected increases in anticipated building costs or associated professional fees. The increase in the rate of VAT was known well in advance and in any event cannot explain the shortfall. One is driven to conclude that the claimant, by those looking after his interests, must have known that this time would come, but nothing appears to have been done about it in proper time. 62. In the event, this court has found itself in a position of being held hostage. Onthis occasion the court has bailed out the claimant. Future applicants should take heed that the court may not look so benevolently on what are in effect retrospective applications for approval of decisions to spend money which has not yet been awarded. In PZC –v- Gloucestershire Hospitals NHS Trust  EWHC 1775 (QB) the court declined to make an interim payment of £850,000 to cover accommodation costs. An interim payment of £85,000 for general expenditure was made. The trial was six months away and a settlement meeting four months away. 44. I am not satisfied that the requested interim award of £845,000 for accommodation isreasonable, nor that expenditure of such a sum to purchase a property is reasonably necessary. [address2] is a very large property the ground floor dimensions of which, assessed at more than 300 sq m far exceed the family’s requirements and the cost of which is 3.5 times the value of the present family home. I am quite satisfied that asuitable property can be acquired at a significantly less cost. 45. I do not therefore consider it appropriate to award any further sum under the principlesexpounded in Eeles 2. 46. Mr Westcott has submitted to me that should I reject the application for the interim sumclaimed nevertheless it would be open to me to award a lesser sum, to be retained by the Claimant’s solicitor, so that the family could then have money readily available should a suitable property become available. 47. Whilst I can see the attractions of such a course, I bear in mind, that at present the Claimant is an infant, so that the court would have to approve monies advanced for her. At present her affairs are not administered by the Court of Protection. I am therefore not at present prepared to award an interim payment for accommodation in general terms, but would, ordinarily, be willing in theory to consider any specific proposal should one be advanced. But given the proximity of the trial I consider it far better that such matters should be dealt with at the trial. Sedge –v- Prime (QBD) 25/04/12 – payment of £150,000 to allow a severely disabled victim of a road accident to try a period of care in the community pending the trial on quantum. The move was considered to be in the claimant’s best interests under the Mental Capacity Act 2005. The judge was satisfied that it was reasonable for community care to be tried but was not satisfied that the £300,000 sought was reasonable. An interim payment of £150,000 was allowed and the judge stated that if community care was successful then an application for a further interim payment should be sought. Szatmaris –v- Oxford Radcliffe NHS Trusts  EWHC 1339 (QB). Claimant was paraplegic. He sought an interim payment of just under £1 million when the trial was to take place in nine months. He already had £411,000 in interim payments. Both experts agreed the current accommodation was unsuitable. The court took a conservative approach and granted an interim payment of £479,000 to allow the claimant to shop for a suitable home. Oxborrow –v- West Suffolk Hospitals NHS Trust  EWHC 1010 (QB). 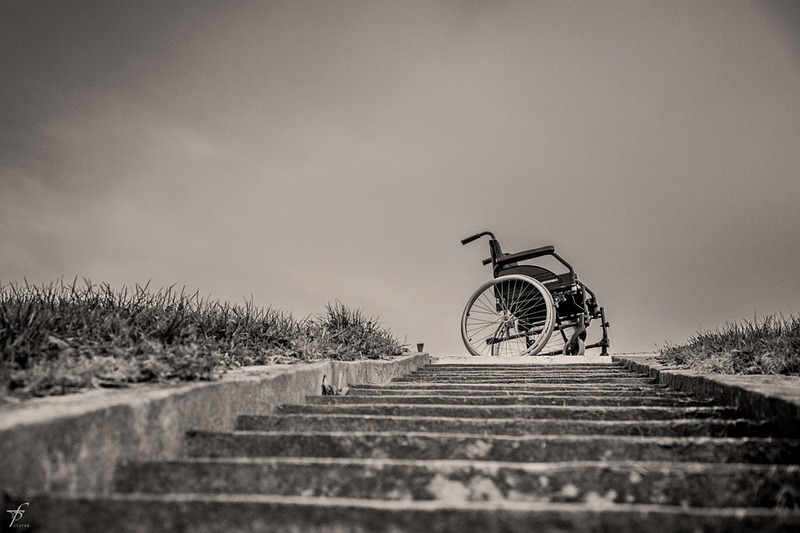 Claimant was severely disabled, suffered from quadriplegic cerebral palsy. Defendant argued that no interim payment was necessary in relation to accommodation because it may be possible to rent a suitable property long term. The judge held that there was no likelihood that the trial judge would award damages on the basis that the claimant could rent suitable accommodation. If the judge awarded damages on the Roberts –v- Johnstone basis it would fall short of the £740,000 being sought. However it could be said to a high degree of confidence that the trial judge was likely to make a lump-sum award sufficient to enable the claimant to be accommodated. An interim payment of £740,000 was made. FP –v- Taunton & Somerset NHS Trust  EWHC 3380 (QB). An award of £643,000 in addition to the £500,000 that had already been awarded, on the basis that the capital sum was not be less than £2.3 million. TTT –v- Kingston Hospital NHS Trust EWHC 3917 (QB). The claimant sought an interim payment of £400,000 to convert property. This was opposed by the defendant on the basis that it was disproportionate and that the payment of building costs would render the playing field unlevel because there was no reasonable need. The judge held that the likely capital amount was £2 million and that an interim payment took the total interim payments to less than 90% of the likely capital sum to that would be awarded at trial. Mabiriizi –v- HSBC Insurance (UK) Ltd  EWHC 1280 (QB). An application for an interim payment was refused. The likely lump sum at trial would be insufficient to purchase suitable accommodation. The costs of accommodation were excluded from the calculation as there was a dispute as to whether the claimant should live at home or in residential accommodation. One factor that appears to have played a part in judges declining interim payments is a perception that the houses which it was proposed to buy were “over-lavish”. In Brown –v-Guys and St Thomas’ NHS Foundation Trust (QBD) 15/06/2011 the interim payment was declined. The claimant had identified a property set in 4.6 acres and valued at £1 million. The interim payment was specifically sought to purchase that property. The judge observed that the court had to be satisfied that there was a real need for immediate accommodation, that the sum requested was reasonable and the proposed expenditure was also reasonable. Whilst the property would make an attractive home its price exceeded what was reasonable to incur for suitable accommodation. Making an interim payment would tie the hands of the trial judge. Similarly in PZC –v- Gloucestershire Hospitals NHS Trust  EWHC 1775 (QB) the claimant proposed to purchase a very large property, the ground floor dimensions of which exceeded the family requirements and its costs was 3.5 times the value of the present family home. The application for an interim payment was refused. 1. The principles in Eeles are paramount. claim are likely to be “capitalised” at trial. 5. The Defendant should consider filing evidence. not “extravagant” and the costs are supported by the medical evidence.